This medication is a very powerful pain relief treatment used to help manage symptoms of severe pain. Doctors will usually issue tramadol if milder medications have proved, or are likely to prove, insufficient. Severe pain like this might be the result of a chronic condition, such as rheumatoid arthritis, motor neurone disease or fibromyalgia. It may also have been caused by a serious or invasive surgical procedure. EU Residents (outside the UK) can buy Tramadol online if approved by the doctor. UK RESIDENTS CANNOT BUY TRAMADOL. NO TRAMADOL IS SHIPPED TO UK ADDRESSES. TRAMADOL AND ANY PRODUCT CONTAINING TRAMADOL IS NOT SENT FROM A UK PHARMACY. The main ingredient of this medicine is tramadol hydrochloride. This type of painkiller is known as an opioid analgesic, meaning that it releases chemicals which help to stop certain pain receptors in the brain from receiving and translating pain signals. However, while it can stop the symptoms of pain, it will not cure the condition causing it. Because it is so strong, there are a number of possible side effects associated with this medicine. 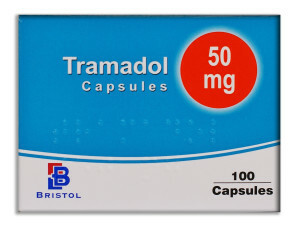 For this reason, it is essential to only buy tramadol online UK from a -registered pharmacy you can trust. Whether you buy painkillers online or in person, a doctor will need to assess your condition and medical history to ensure it is suitable for you. A doctor may not issue this treatment to persons who are pregnant, breastfeeding, or who have a history of drug or alcohol dependence. Possible side effects may include drowsiness, nausea, heart problems and addiction. The information listed here is not comprehensive, so ensure you read the safety information for a more complete account of restrictions and side effects. Ask your doctor before using any pain medicine if you are unsure. With Tramadol now being a control drug the process is complex hence the delay in delivery. We are working on a faster solution going forward. In the meantime delivery will take up to 3-5 days. Sorry for any inconvenience this may have caused. Our partner pharmacy will ship your medicine via tracked courier. Buying painkillers online has never been simpler. Once you have placed your order, you will be taken to our online consultation facility. After you fill out a medical questionnaire, a doctor will review your answers. We have changed our online consultations to meet the new requirements and we have added 3 additional questions that concern ID checks. You MUST agree to these. If you click NO to any one of these 3 questions regarding the ID checks, your order will not be processed. These ID checks will now apply to ALL ORDERS FOR PAINKILLERS. Also, repeat prescriptions are no longer allowed for Tramadol. So even if you are already doctor-approved for this medication you will need to go through the new consultation each time you order. If your order is approved by the doctor, an electronic prescription will be generated and sent to our dispensing pharmacy on your behalf.